Mom's Gone Bronson! 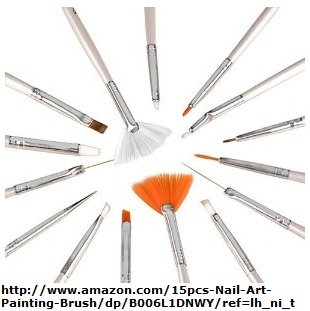 : 15 Piece Nail Art Brush Set! $2.72 SHIPPED! 15 Piece Nail Art Brush Set! $2.72 SHIPPED! Right now it is very "in" to paint your own nails and spruce them up at home to save some pennies on trips to the nail parlor! Here is a great deal to help you get started on your at-home do - a 15 piece brush set for just $2.72 SHIPPED! Great boosters for birthdays and Christmas or a second set of your own! What are you waiting for!! CLICK HERE to get yours! ***Disclaimer: I am in no way associated with the products listed, their images or the website, Amazon, on which they are hosted. I am just passing on a good deal! Thanks! Got Milk? Enter the Latte Love Sweepstakes! FREE Ovaltine Rich Chocolate Sample! Soar Study Skills Giveaway - Ends 9/30! HOT! 3 Boxes of Raisin Bran ONLY $5.22 on Amazon! FREE $10 Lowes Gift Card Code! = FREEBIES? FREE Pizza from Papa John's!